- M.D.in Medicine, National Taiwan University, Taipei, Taiwan, R.O.C. She has been a faculty in the Department of Pediatrics at National Cheng Kung University Medical School since 1986. Her major research interests had been in the field of pediatric genetic and endocrine disorders. In recent years, she also expands her research topics on medical ethics and ethical, legal and social issues on genetic medicine. 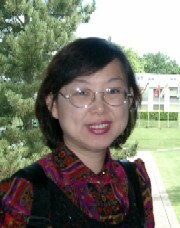 Based on her subspecialty in pediatric genetic and metabolic disorders, with the collaboration of scholars from different disciplines including basic sciences, health education and public health, she had set up service network and organized several research teams on these fields both in campus and Southern Taiwan region. To improve medical education in the health community, she had expended a great deal of energy over the past several years upon medical ethics and genetic counseling. She served as the Deputy Director and then Director to the Bureau of Health Promotion (BHP), Department of Health from 2002 to 2005. She and her colleagues coordinated with various sectors, for examples, with Taiwan Pediatric Society to work on reforming child health prevention services and with Ministry of Education on Health Promotion Schools Projects. In recent 5 years, She has been coordinating research on ELSI issues of genetic testing and counseling, cultural competency in health care. 7. Huang MC, Lee CK, Lu IC, Lin SJ, A Survey of parental consent on newborn screening. Journal of Medical Ethics, 31:621-624, 2005.